Home / Automotive / Cars / Video: Lamborghini Unveiled The Huracan With Improved Aerodynamics! Lamborghini has taken the wraps off the new Huracan Super Trofeo EVO. The Huracan Super Trofeo EVO builds on the success of its predecessor by adopting an improved aerodynamics package which aims to "maintain the same high downforce of the previous model while achieving higher overall aerodynamic efficiency." Lamborghini worked with Dallara Engineering to develop a new carbon fibre body kit which helps to improve stability while reducing drag. The changes are pretty dramatic as Lamborghini says all the components have been "completely redesigned" except the front splitter, flat floor, and rear diffuser. With all the improvements it helped the model to lap the Monza track in 1:43.3 which is 1.5 seconds faster than the previous model. 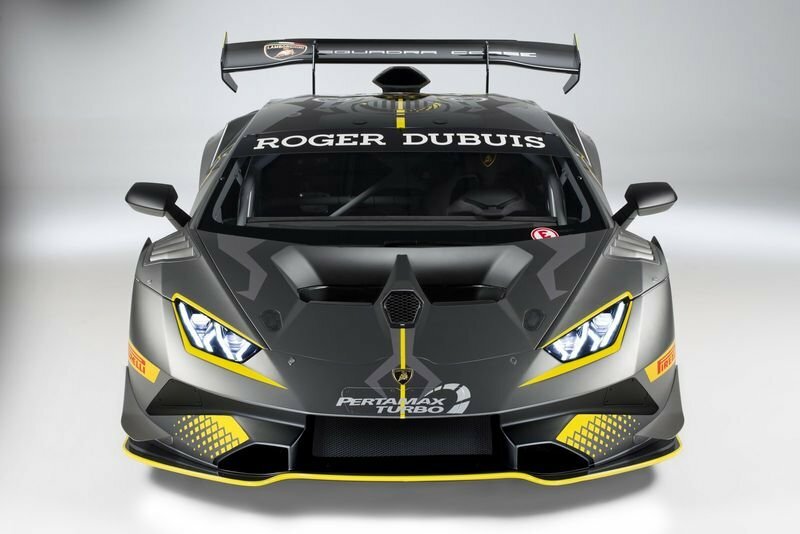 The model will enter the competition next spring and the Lamborghini will be eligible to compete in the one-make Lamborghini Super Trofeo series. The Huracan can also compete in the Gran Turismo Championship in both Endurance races as well as the GT Cup category. Pricing starts at $295,000 in the United States and €235,000 in Europe. Owners of the current Huracan Super Trofeo will also have the option of purchasing the new aerodynamic package.